The 13th report of the UN High Commissioner for Human Rights on the human rights situation in Ukraine between 16 November 2015 and 15 February 2016, when the Minsk Agreements were in force, has come as a shock to Kiev. According to the UN, more than three million people live in the areas directly affected by the conflict. The exact number of people who have left Ukraine-controlled territory is still unknown, although rough estimates range from 800,000 to 1,000,000 people. The Ukrainian government has estimated that more than a million people have left southeast Ukraine for Russia, Belarus and Europe. This figure does not match that of the Russian federal migration service, however: in 2015, around four million Ukrainians crossed the border, with nearly 2.6 million settling in Russia. More than a million people have arrived from southeast Ukraine. Residents of the Donetsk and Luhansk regions are permitted to live freely in Russia. The discrepancy in the figures clearly shows that Ukraine is not interested in keeping track of its citizens, whether within the country or abroad. This means that one of the aims of the military campaign launched in the east of the country is to displace the population from the area of conflict, predominantly to Russia. Given that refugees from the republics to Ukraine are facing discrimination in access to public services, according to the UN report, the authorities in Kiev do not seem to want the residents of Donbass either. The UN also states that those living close to the contact line (nearly 800,000 people) are particularly suffering, and the lives of these people are constantly at risk. 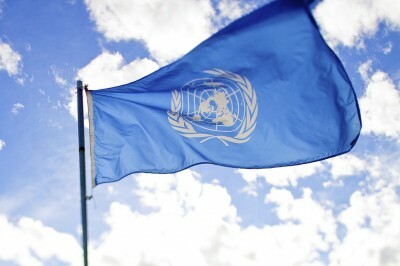 The UN mission believes that the assistance being given to the residents of Donbass is insufficient, even given Russia’s humanitarian convoys, although the fact that it was Ukraine that shut down all the social programmes and introduced the ‘blockade’ unfortunately remained beyond the scope of the report. The UN believes that the permit regime introduced by Ukraine and the disorder at checkpoints are negatively reinforcing the isolation of those living in the DPR and LPR. Queues of up to 300-400 cars waiting on either side of the checkpoints are observed on a regular basis and this recently ended in tragedy. Due to the fact that the Ukrainian checkpoint is not open at night, civilians who had been queuing in their cars overnight were fired at by the Ukrainian side using illegal-calibre weapons (122 mm), resulting in the deaths of five people, including a pregnant woman. During the period covered in the report, the Ukrainian armed forces have advanced even further into populated areas and the numerous attacks on the residential areas of Horlivka, Shakhtarsk and Debaltseve are also mentioned in the report. Since the Minsk ceasefire agreements entered into force (i.e. since 15 February 2015), there have been 843 civilian casualties – 235 killed (216 adults and 19 children) and 608 injured (554 adults and 44 children). At the same time, the UN mission notes that it is unable to attribute some of the victims to either side of the conflict. It also emphasises that the real number of those killed and injured could be higher than that given in the report. The number of people missing is particularly shocking. The Ukrainian side has reported 741 persons missing, while the DPR has registered 420 missing persons. In addition, the UN mission has ascertained that approximately 1,000 bodies held in morgues in government-controlled territory have still not been identified. And once again the numbers are crying out that the Ukrainian government does not believe people to be important. The number of persons that Kiev has declared missing is a third less than the number of unidentified bodies! And the numbers also ignore the mortal remains in areas where hostilies took place – search operations are virtually non-existent. As the UN report states, there is not even a dedicated mechanism in place to gather statements from the relatives of missing persons. The UN mission has also not taken into account the number of unmarked graves in cemeteries. The overwhelming majority of missing persons should not be looked for in the Donetsk and Luhansk republics, but among the thousands of bodies that have already been quietly buried or are still lying in morgues. It is possible that the official number of those who will never return has been hugely underestimated. The efforts of the Ukrainian side aimed at searching for and identifying those killed and those missing are referred to in the UN report using the word «inaction». Kiev cannot admit that to avoid responsibility, it is secretly carrying out a policy of ‘unidentified bodies’. It is also being suggested to relatives that missing persons are being held captive by DPR and LPR ‘separatists’. The report concedes that some people recorded as missing may be alive, but are being held in secret places of detention either in the republics or in Ukrainian-controlled territory. The UN mission has finally figured out that the secret prisons and torture in Ukraine are an established system that has become part of the state and its policies. Of the 1,925 criminal investigations launched into allegations of torture in 2015, 1,450 were closed. The report has also provided yet more evidence that it is not a civil war. It is a war between those who seized power by means of a military coup and the people of Ukraine, a war that is hypocritically being referred to as an ‘anti-terrorist operation’. throughout the country, OHCHR continued to receive allegations of enforced disappearances, arbitrary and incommunicado detention, and torture and ill-treatment of people accused by the Ukrainian authorities of ‘trespassing territorial integrity’, ‘terrorism’ or related offenses, or of individuals suspected of being members of, or affiliated with, the armed groups. People are not just being tortured, but are also being executed without trial. In Sloviansk, for example, the basement of the local college is being used for this purpose. A basement used for torture and summary executions was also discovered by UN inspectors in Izium, Kharkiv district. In addition, «a network of unofficial places of detention, often located in the basement of regional SBU buildings, have been identified». The SBU also has such basements in Odessa and Kharkiv. In February 2016, between 20 to 30 people were detained in the basement of the Kharkiv regional SBU building, and the vast majority of prisoners were not arrested in accordance with legal procedures and were not charged. The report also notes that the SBU obtains confessions of terrorism using torture, and those who sign the confessions are told that should they complain, then their families, including their children, will also be made to suffer. The Security Service of Ukraine refers to such methods as the use of «proportional» and «justified» force. The 13th report also completely destroys the myth that there are thousands of prisoners in the DPR and LPR. There is no trace of the thousands – in February 2016, the SBU gave the UN mission a list of 136 people who are allegedly being detained in custody in the republics, but nothing is known about this for sure. The list provided by the DPR authorities, however, looks completely different. «Some 1,110 persons were detained by the Government of Ukraine, including 363 members of the armed groups. This includes 577 people arrested for ‘their political views’ and 170 civilians ‘who have nothing to do with the conflict’», says the UN report. The SBU has gone overboard by essentially creating a system of concentration camps. The UN report likens the actions of the SBU to the seizure of hostages. It has been impossible to keep the scandal hushed up, but while this regime exists in Ukraine, investigations into its criminal activities will be carried out along the same lines as the investigations into the people burned alive in Odessa on 2 May 2014. Namely that the executioners will remain free or under house arrest while the victims are imprisoned. For years.